One of my favorite things about a day off is the opportunity to experiment with lunch menus. Unless I have a lunch-time appointment, most work-day lunches consist of fresh fruit and almonds at my desk. So making this dish means a healthy lunch today, and a great lunch at my desk tomorrow. 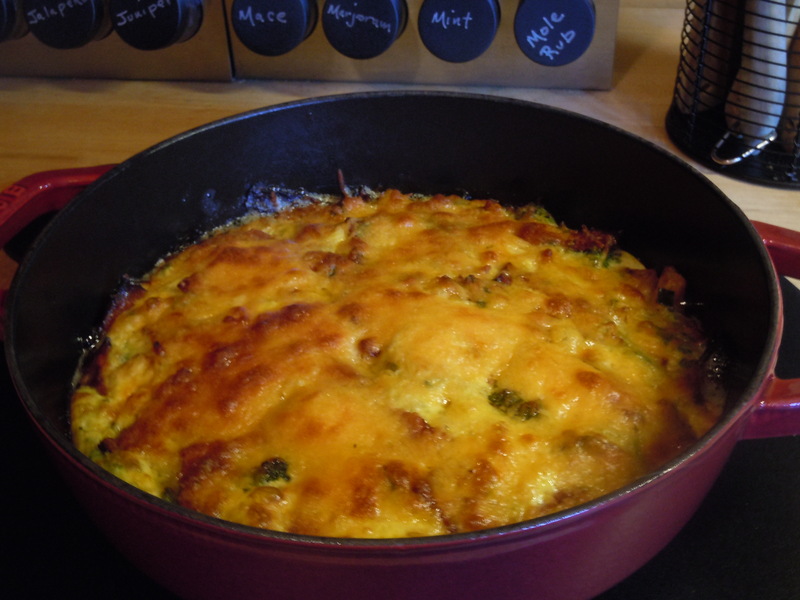 I love frittata at room temperature, but this one is great right out of the oven and it reheats nicely if you prefer a warm lunch the next day. 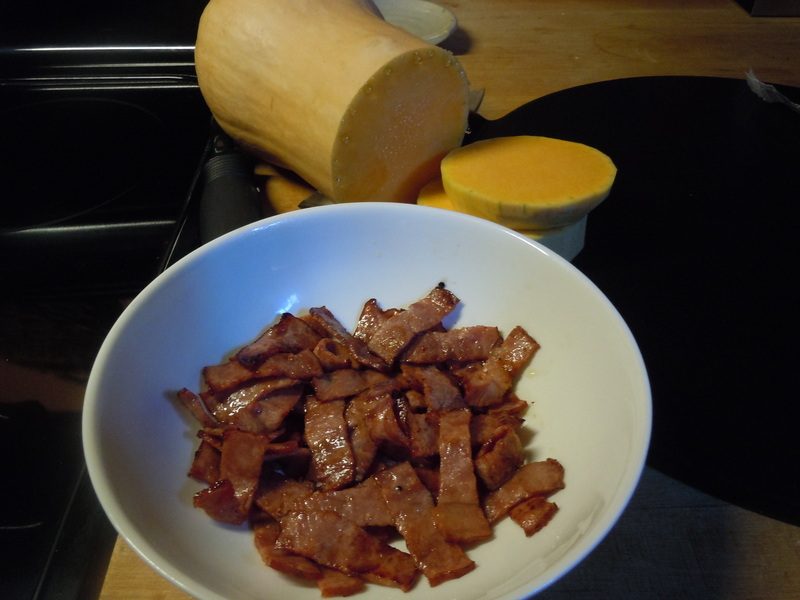 I chose butternut squash because it’s nutritious, low-carb, and very pretty – but you could use potatoes (white or sweet) or anything you’d like. 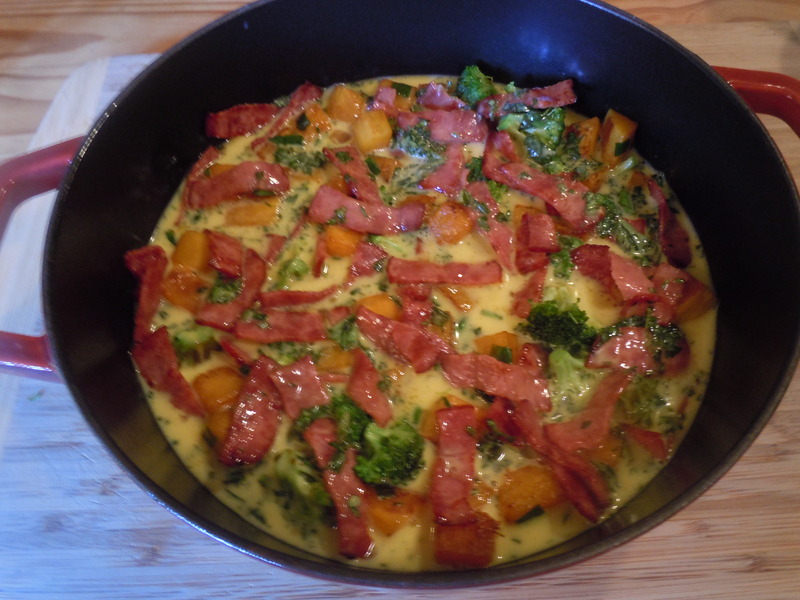 For me, the point of a frittata is using the best possible local fresh ingredients and the best pairing of flavors, colors and herbs. If using the turkey bacon, in the olive oil and butter. Drain and set aside. 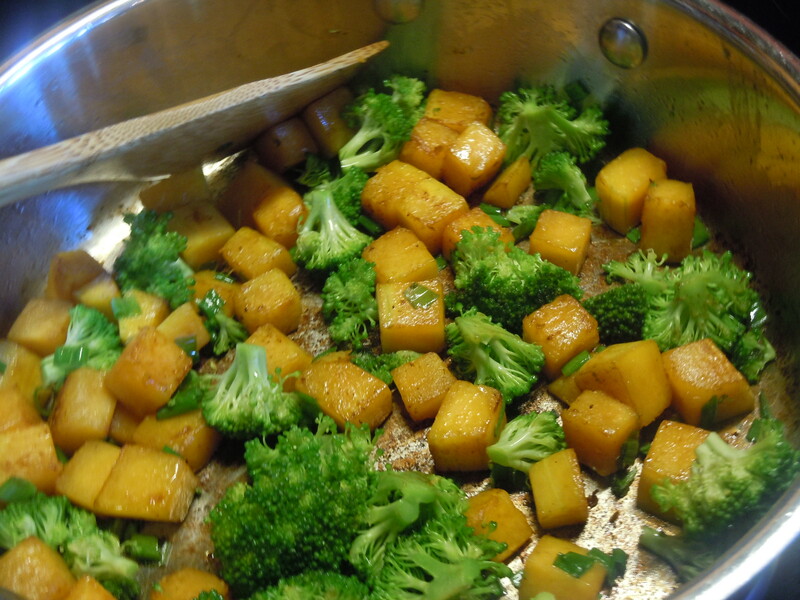 In the same pan, saute the squash until lightly browned. 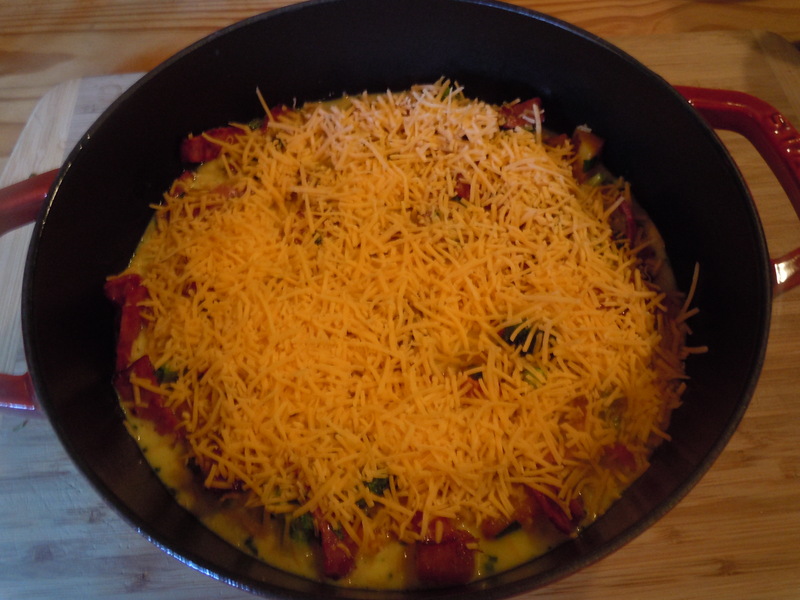 Add the broccoli and green onions and continue to cook for 3-4 minutes. Remove from heat and let cool to warm room temperature. Preheat the oven to 425. In a medium bowl, beat the eggs well. Add the milk, salt, pepper and herbs. Place the vegetables in a nonstick baking dish or casserole. Sprinkle the bacon over. 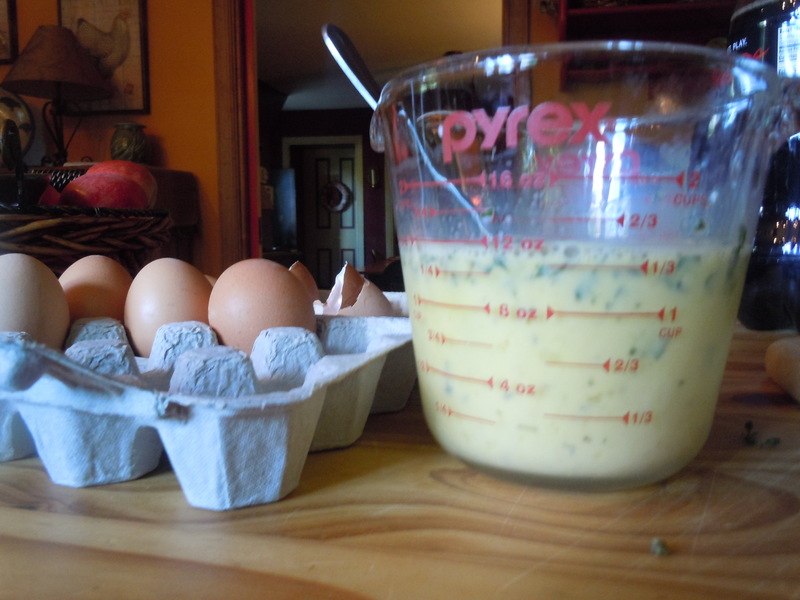 Gently pour the egg mixture evenly over the top. Use a wooden spoon to gently distribute the egg throughout. 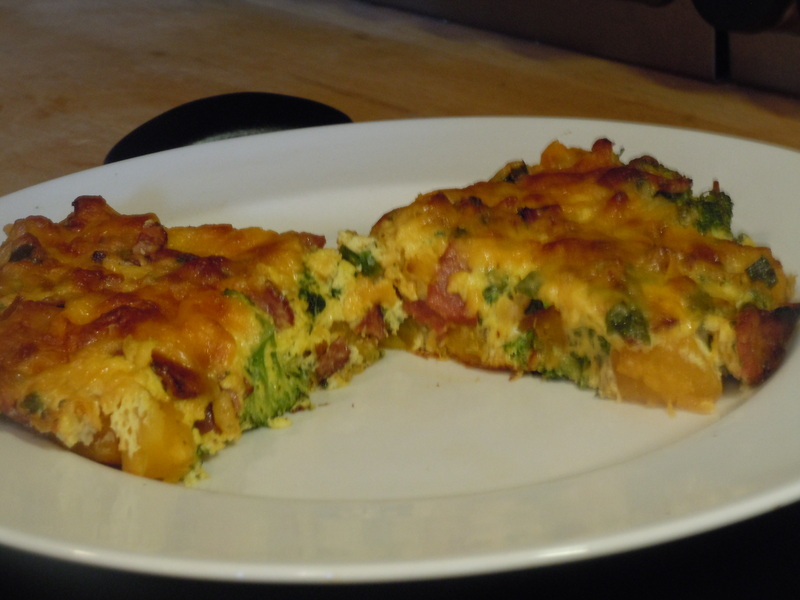 Top with the grated cheese and bake for 20-25 minutes or until the frittata has set and the cheese is lightly browned. I am so glad you used cast iron to bake in. 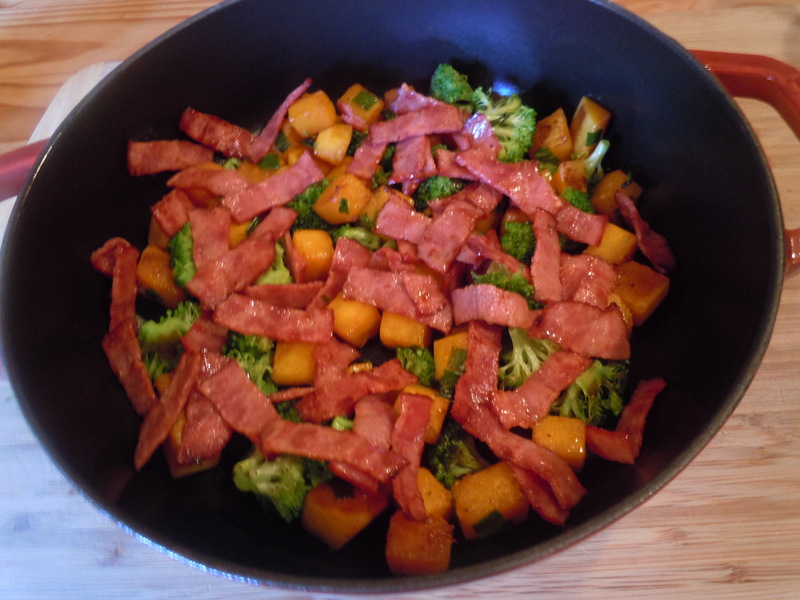 I particularly liked that you combined autumn squash and broccoli. Very healthy. The final product looks like it would warm anyone on a cold day.